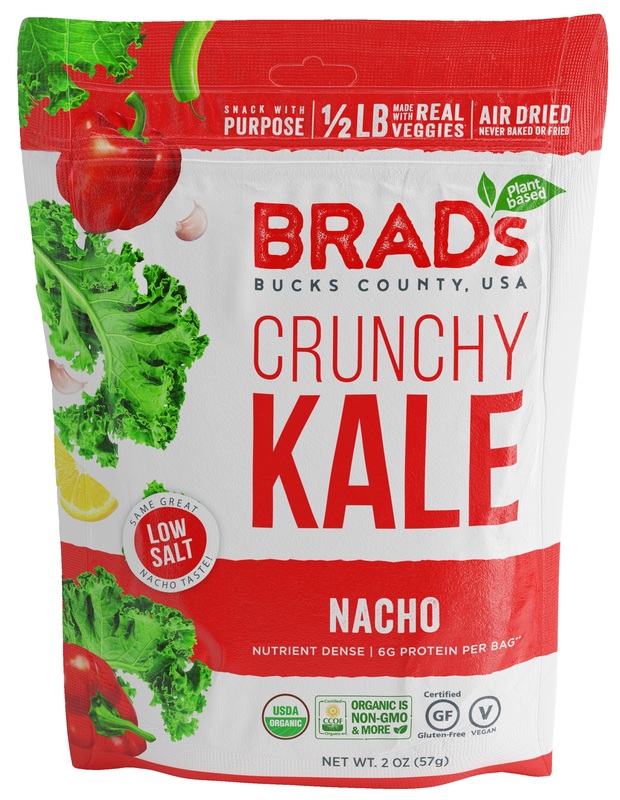 No surprises here with our certified vegan nacho kale chips! Perfect for a picnic, BBQ, or a topping for your salad (your stomach will thank you). Enjoy our new recipe with lower salt because it’s better to be nice to your body. Our organic ingredients remain the same like our soy less chickpea miso, and enzyme rich apple cider vinegar. Why ACV? 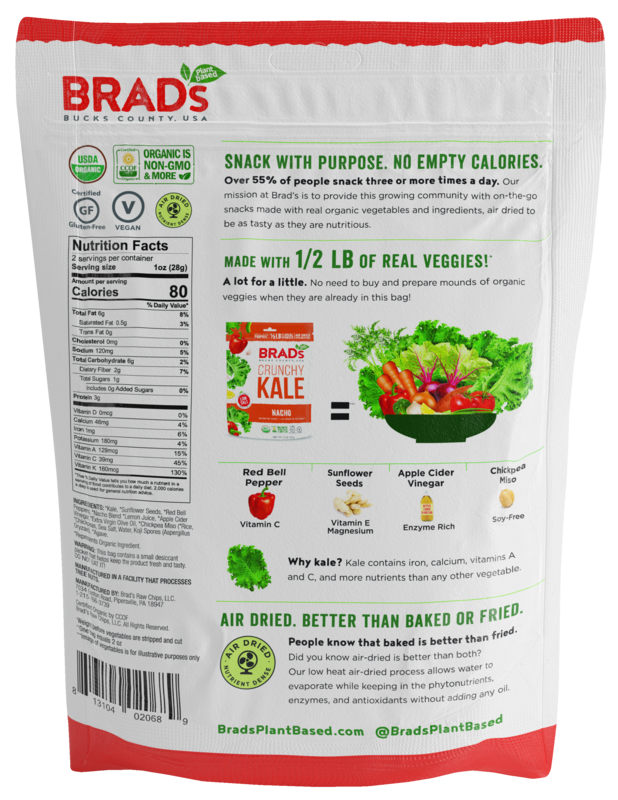 Bragg’s ACV is organic and unfiltered which means it contains strains of proteins and enzymes that our body loves. Treat yourself, without the guilt. Leave the empty calories behind. Now you’re snacking with purpose. Ingredients: Kale, Sunflower Seeds, Red Bell Peppers, Nacho Blend, Lemon Juice, Apple Cider Vinegar, Extra Virgin Olive Oil, Chickpea Miso (Rice, Chickpeas, Sea Salt, Water, Koji Spores (Aspergillus Oryzae)), Agave.